I decided to change the wall above the sideboard in the dining area. I love lime green and these hydrangeas are THE best color! and is lined with an old coffee sack found at a thrift store. but am loving it so far. I have no idea how to use Facebook ! Lol!! would appreciate them! There is a little badge on the side for it. THANK YOU to EVERYONE who joined in last week! I so enjoy visiting all your lovely links! Here are just a few that stood out for me. and all the ouch she went through to get it done! Miss Kim over at Savvy Southern Style shared a fantastic sideboard transformation! Her furniture is always so pretty- this one is so inspired. designs and inspirations for feathering your nest!! Let's get this weeks party started! Please, NO links to stores or sales. The wall is stunning with red plates. Love the flowers and the furniture piece is beautiful. 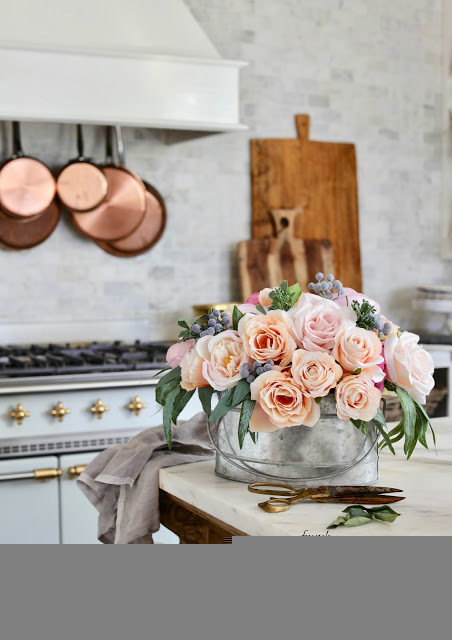 Awww, you make me feel so special by featuring my pink and sage table. I was just ooohing and awwwwing over your sideboard and the arrangement above it. 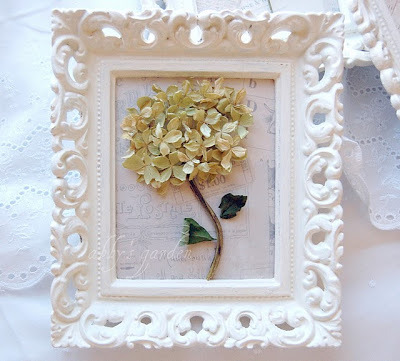 I love the way you decorate and group things together in your vignettes. The hydrangeas are really gorgeous. I think I've decided I need some in my bedroom so I'm going to go start looking around online for some as soon as I leave here. I thought that framed hydrangea you featured was so pretty too and Kim's furniture IS always lovely. I love Antique Chases trophies too. Have a wonderful weekend, and again, thank you for featuring my table setting! ;-) I'm honored! oh how beautiful! I feel like I am in a French cottage in Provence. I am still finalizing my outside that I started in the fall! Love those pretty reds!! I like that it reflects the holiday but isn't so Valentine-ey. Thank you for hosting us again this week, Courtney! Looking forward to seeing everyone's ideas. So lovely and romantic, Courtney. Thanks for hosting. Hi Courtney! Your new arrangement is so fresh and tres Francais! I'm enjoying the suggestion of spring. Courtney, thanks so much for featuring my sideboard. I love your chest in these pictures. What a beauty. I do wish you would post some pics without the white fading on them so I could see your goodies clearly. That chest looks amazing and that wall above is perfection!! Thanks for hosting. Courtney, you wall arrangement looks wonderful. I like mixing in the silver with the red. 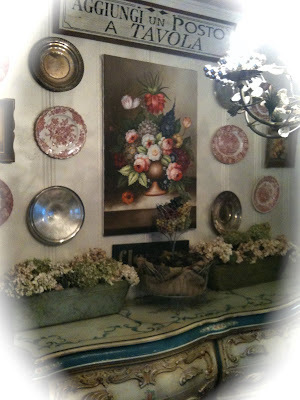 I have a friend who hangs her silver trays on her dining room wall. I've long admired that look. 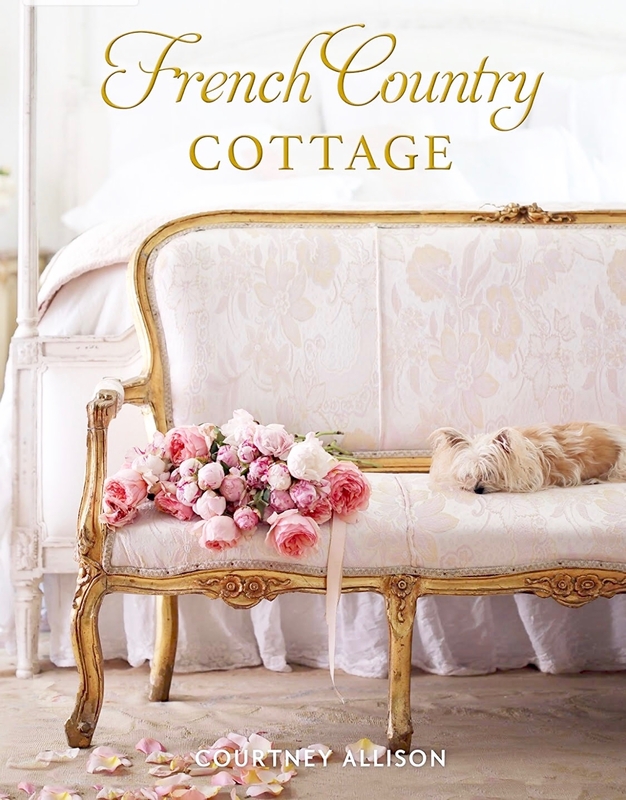 ...I think I shall call you the "french hydrandea cottage" ~ LOL!! all I can say is that your hydrangea bushes must be glorious!!! Hi Coutney, You know how much I love transferware and your plates are wonderful. Beautiful vignette. Thanks so much for hosting. The new display looks very nice. Those are great features too. I love them all. Wow! 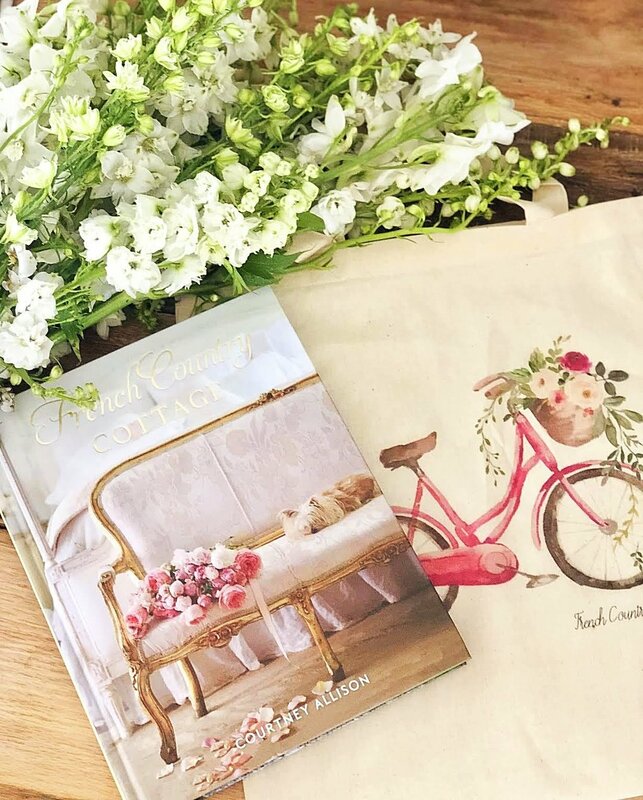 That's a stunning vignette, Courtney! I know what you mean about seeing a little red in the house for February. I don't know about you, but I never decorated my house for Valentine's Day before, but this year I've been bringing in a bit of red and even bought a vintage-looking wooden red heart. :) Such an influence my blogging friends have on me.... lolol! Thank you so much for featuring my trophy collection... You made my night! When you find some trophies, I hope you will share them with us! I love your sideboard, the hydrangeas, galvanized troughs, red transferware and oil painting... the entire vignette looks fresh and so inviting. Perfectly arranged but not staged.. love it! It's looking so pretty. 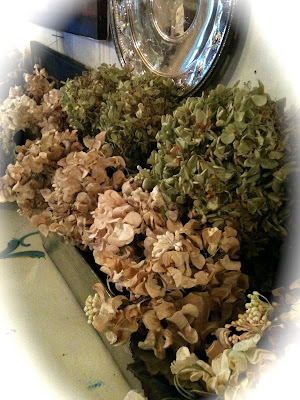 I especially love the dried flowers, always a romantic here too! What lovelies folks shared last week, I enjoyed the "features". Have a great weekend! I'm loving what you've done with the wall and buffet. It looks great already. I can't wait to see your finishing touches. Hope all is well! What a stunning display you have there! It looks like something out of a magazine, better actually. Thanks for hosting! I am with Gloria I am dying to see your sideboard! It looks awesome the little peeks you gave! 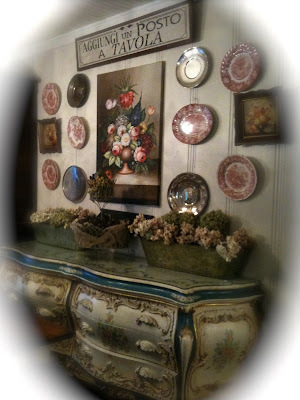 Your sideboard is gorgeous and I love your plates on the wall and the vignette you've added to the top! Gorgeous! Bonjour Courtney - You collection of layered art above your sideboard looks fabulous and your French sideboard is simply to die for! Thanks for stopping by today. Thank you for hosting all the fun and inspiration ! Courtney, The new wall arrangement looks great. Love the green hydrangeas. How did she get green. Did she cut them while they were green. Beautiful. 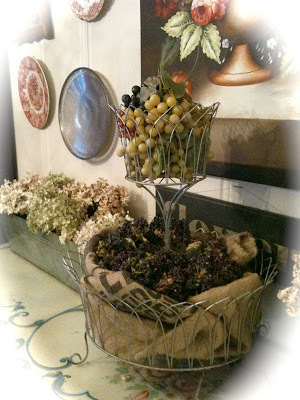 I love the tiered stand and galvanized troughs. It's all brought together beautifully. Courtney, thanks for hosting the party every week! I linked our nest raising project(64) -- is that related to nest feathering? 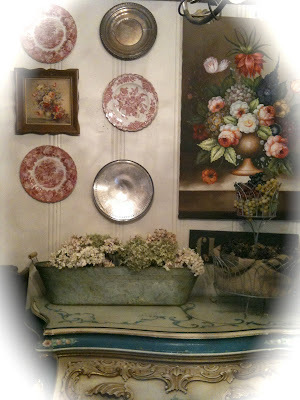 Love your wall grouping -- and that painting is gorgeous! 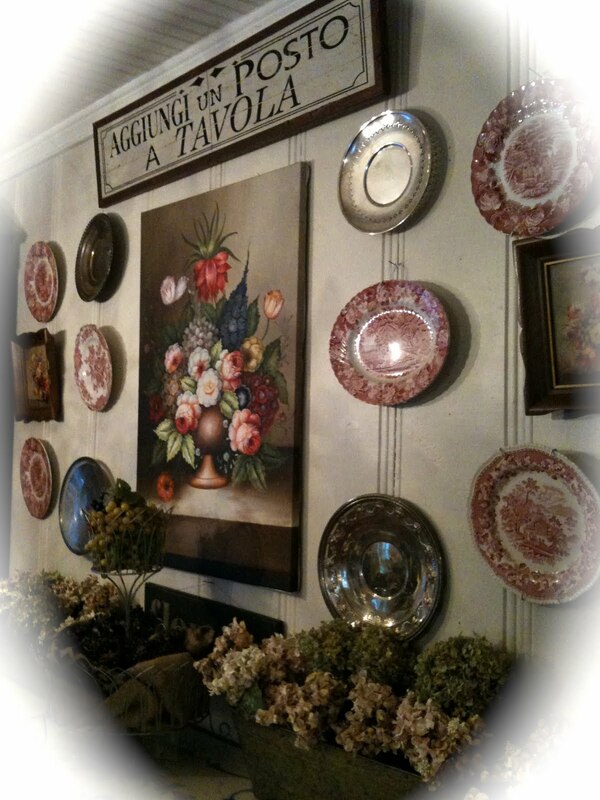 I love the wall with all the plates...I have often wanted to do that! Your sideboard is fabulous and the hydrangeas look so pretty on it. Very nicely done, Courtney! I love that you mixed the plates and the paintings on the wall. Looks great! Thanks for another fun party!! oooh i love what you did to your wall and i love the decoration, the plague sign above and the painting is so beautiful, really love the photos and everything you did, thanks for hosting and happy feathered nest friday! Pretty features this week. Love all of your plates on the wall. 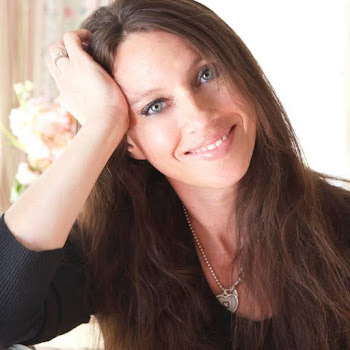 I am so sorry I posted the wrong thing and it would not let me delete it :( really sorry..Love your Blog it is Beautiful.. I love the way you do your linky party as a normal blog post....and what a gorgeous post today! Thank you so much for hosting. Hi - I just love the eye candy on your blog! I posted #80 a kitchen I built for my kids. Thanks so much for hosting. Your arrangement looks lovely. Courtney, every time I see something in your house, I think: ooh, how French! You are so good at display, girl! How pretty Courtney! Your sideboard is gorgeous! Looks absolutely beautiful. Thanks for all the inspiration! Once again, your red ensemble is fab. I have a thing for plates...I'll mosey on over and check out your FB doings. Your design ideas are so inspiring, Courtney. I love your look and the beautiful way you add just the right touch to a room. Thanks for hosting this fun party. I look forward to it every week. Hi, I'm new to your blog and I am enamored! I love your display over that gorgeous sideboard? Cabinet? Beautiful!!!! p.s - I have got the cutest trophy you might like in my shop - take a peek. Your home is gorgeous. 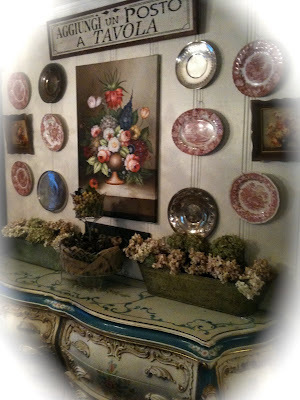 I love each vignette and when put all together these lovely details create the most enchanting corner of your home. How completely and totally gorgeous! Thanks for always inspiring!